In modern marketing, the customer should be at the centre of everything the company does. In other words, one should always start with the customer or consumer – a concept called customer centrality. For this, we must understand the different generic customer needs. 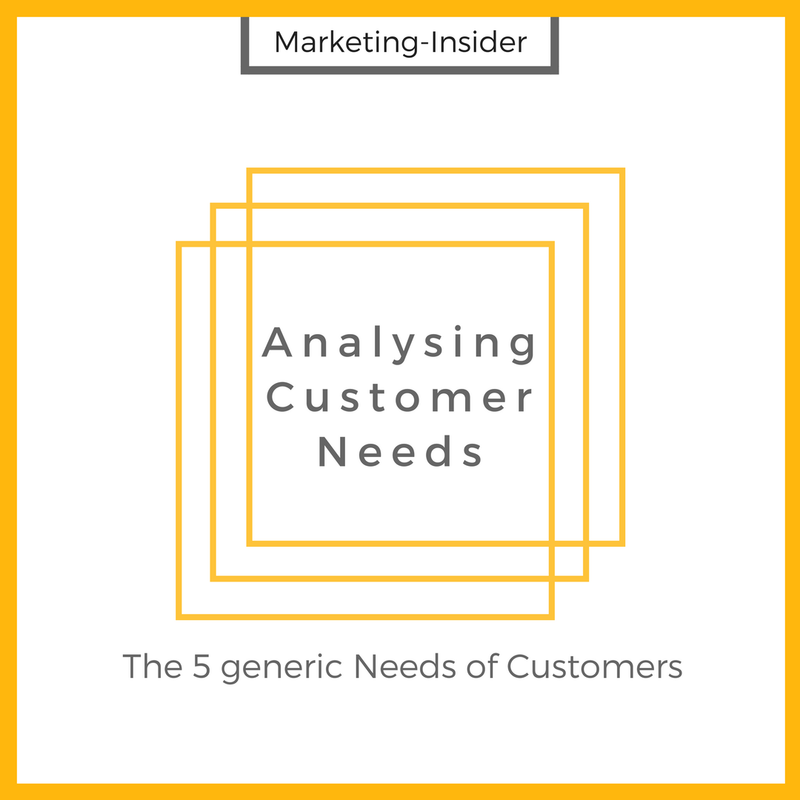 In the following, we will investigate these needs to know what to look for when analysing customer needs.